The young energetic country star Luke Bryan continues his "That's my Kind Of Night" Tour at the DTE Energy Music Theatre on Thursday 19th June. 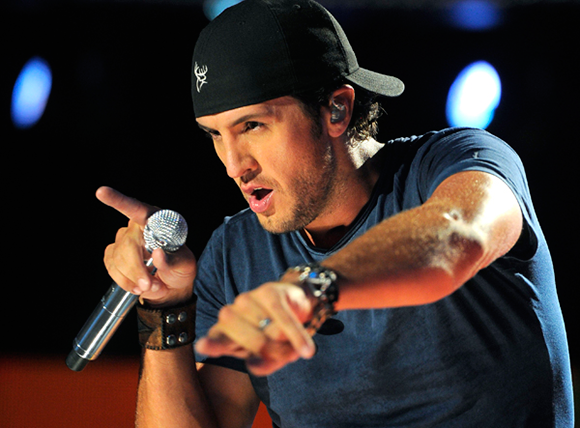 Due to the unparallelled success of his previous years tour, Luke's fan base is growing day by day, with music that is pushing the boundaries of modern country genre's. This years outing will Guest star fellow country singers Lee Brice & Cole Swindell. We have been to the DTE Energy Music Theatre and can see why it is so popular! Huge capacity, beautiful outdoor areas and more, so be sure to get your tickets ASAP! In the last few years Luke Bryan career has grown exponentially, this is mainly due to the success of his second and third studio albums. The Georgian star burst onto the scene in 2007 with a unique blend of down-home accessibility, movie star looks and heart-felt lyrics. The new album has debuted number 1 on the country charts and reached number 2 on the pop charts. Luke's tours are as successful as his music and has already performed with some of the biggest country stars including: Tim Mcgraw, Rascal Flatts And Brad Paisley. This years tour, will be the biggest in Luke Bryans's Career, with fans already swarming to get tickets. Don't miss out on yours, before it's too late!